Learn how to make DIY Art Materials -From Homemade clay, glitter glue, Edible Paint, Watercolor, Stamps, Chalk Paint, DIY Glitter to DIY Puffy Paint & more, right at home! DIY isn’t just a snazzy abbreviation of Do It Yourself – it is now an entire culture! These days, you can make anything you wish at home, whether it’s a baby blanket or an office desk – there’s a tutorial for it somewhere out there! Give kids’ natural curiosity, imagination and the eagerness to get their hands dirty, this DIY universe is a haven for them. It’s no wonder then that most parents start stocking up on art and craft supplies even before the kids start school, and we wholly recommend that! But how about taking this a step further, and making your own art supplies? Yes, we are talking about DIY-ing your DIY stuff!! Here are ideas for 20 DIY Art Materials You Can Make at Home. Now, your art is 100% homemade!! It may seem like arts and crafts are for preschoolers and older kids, but that makes our tiny toddlers feel left out, right? This edible finger paint from Fun at Home with Kids is the ideal solution for them, with bright colors made using Yoghurt & Kool-Aid perfect for that masterpiece! Make these edible safe baby paints and using natural Vegetables & Fruits – Like Turmeric, Spinach, Beets mixed in baby cereal. Bath time is a time of infinite possibilities – there are so many things you can do with water! And one of them is painting, and what will help you create some watery masterpieces, is this DIY bath paint from Modernly Morgan – safe enough for the little ones! 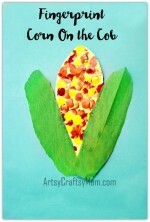 Make your own using Baby Bath Soap, Cornstarch & Food Colors. Learn how to make watercolor paints using Corn Syrup, Vinegar, Baking Soda & Food Colors that are not only safe for kids but a fun learning experience as well! Let your scientists learn while they create watercolor paints. It’s nice to see your artwork on paper, but it’s so much better when the paint literally rises above the surface, isn’t it? And that’s the magic of foam paint, which you can make at home, easily, with shaving cream, glue and a color of your choice! Liquid watercolors are amazing. They’re vibrant, they’re versatile, they’re beautiful, and they’re fun to use. But Liquid watercolors are also expensive. 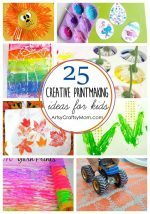 Instead use that old leftover, dried marker and turn it into some colorful watercolor paint for your kids or students. Discover the joys of painting with eggs and chalk – it’s homemade tempera paint! Summer’s a great time for ice cream and Popsicles, and that’s when those Popsicle molds come out of hibernation! But you know what else you can make with those molds? Chalk! Yes, Project Nursery has all the instructions to make these convenient and handy sidewalk chalk pops using Plaster of Paris , tempera paint for some summer fun! Most of us have a love-hate relationship with glitter. On one hand, it instantly makes everything all shiny and pretty. On the other hand, it instantly makes everything all shiny..and messy! At least be assured you’re not fighting toxic stuff by making your own glitter using Epsom Salt & Food Colors, as shown by One Little Project! Not many people are aware, but colored sand is a really useful thing to have when crafting with kids. Kids Craft Room shows us how to make our own colored sand with Play Sand & Powder Paints. Make different colors and store to use over and over again. Make vibrant Rangoli Powder at home for a fun and unique art activity for kids. Requires just 3 ingredients – Rice Flour, Candy Colors & Salt, and you and your kids can be off creating beautiful patterns. Modge Podge is something every art and craft enthusiast has in his or her home, and it’s quite a handy little thing for several projects! I never realized you could actually make your own version using glue & water until I saw this tutorial from Do It Yourself Divas! Feel like your project is a little meh? The easiest way to glam it up is by adding some sparkle – with some homemade Glitter glue! Check out the tutorial at paging fun mums to make some for yourself using Cornflour, Vinegar, Salt, Glitter & Glue. Making your own play dough is not unheard-of, and the advantage is that you can make play dough in assorted colors and even scents. But Fun at Home with Kids has another advantage – it can be made in just five minutes, in the microwave – You just need food color, cream of tartar, salt, and flour! Make your own dot dabbers for preschool. Deborah, from Teach Preschool, used makeup sponges & watered down Tempera paints to make a DIY version. Have you seen those fancy roller stamps and put them on your wishlist? Well, no need to spend a lot on them – you can easily make them with adhesive foam shapes and a lint roller! This idea from Handmade Charlotte is just genius, and you can make any kind of custom designs with foam sheets. These ABC block stamps from Babble Dabble Do are really easy to make, and can really last a long time. If you ask me, it beats buying overpriced stamps from stores when you can make your own custom versions! 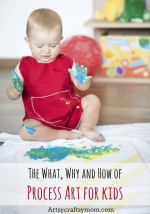 Transferring paint onto paper is fun for kids, but you know what makes it more fun? Doing it with paintbrushes of different textures! Apple Green Cottage shows us how to make some interesting nature-themed paintbrushes that’ll make painting so much better!